Image courtesy of Tiger Baby and Excel Entertainment. Those in the West who have heard of Dharavi — the largest slum in Asia — may have been exposed to it through Slumdog Millionaire, the 2008 British-made film about an Indian boy named Jamal Malik who unexpectedly wins the Indian version of Who Wants to be a Millionaire? His lack of education and status as a “slumdog” arouse the suspicion of the police, forcing him to recount the story of his life in order to absolve himself of cheating. Interestingly, though set entirely in India, the film was written and directed by white British men, and went on to obtain critical acclaim in Western media. Hollywood even nominated the film for 10 categories at the 2009 Academy Awards. Flash forward to 2019 and the film Gully Boy, a Hindi film written and directed by Indian women, which also features a protagonist from the Dharavi slum. Murad Ahmed, a senior college student, lives with his younger brother, grandmother, mother, and abusive father in a Muslim household. Toward the beginning of the film, his father brings home a second wife, and we immediately note his status as head of household: as his new bride enters the home, nobody utters a word of protest. Murad observes the uncomfortable scene with earbuds in and rap music blasting. He’s only physically here; mentally he’s checked out in another world. The six of them are crammed in their tiny living space, and Murad’s mother is reduced to sleeping on the kitchen floor. In these brief moments, the film paints a complex representation of life for someone of Murad’s upbringing. At night, once everyone has retired to bed, Murad sits on the roof by his bedside window. Tears finally emerge, manifesting all the emotions he has no channel to express except in his notebook, where he scribbles down a few lines of poetry. In time, these scribbles evolve into mature rap lyrics, and music becomes the vehicle through which Murad begins to question the rules of his world, and the role he desires to play in it. In contrast, the opening scenes of Slumdog jump between Jamal being tortured and interrogated in the present, and scenes of his impoverished childhood. Twelve minutes into Slumdog, we observe a 5-year-old Jamal jumping into a pit of human feces in order to capture an autograph from a moviestar. These scenes depict poverty with an overtness that feels forced, and an over-the-top-quality that renders “poverty in India” an alien, unrelatable form of existence. No wonder the film felt patronizing to many Indian people. Under the careful direction of Zoya Akhtar, Gully Boy delivers an incredibly nuanced, authentic, and moving portrayal of class struggle in India. Compared to Hollywood attempts at the same subject matter, Gully Boy humanizes the people it is trying to portray, and with musical numbers consisting of thought-provoking gully (“street”) rap, shows off an emerging, grittier side of Bollywood. In contrast to the glamorous, colorful optimism exuded by typical Bollywood films, Gully Boy seeks a realistic portrayal of how class oppresses members of Indian society. These struggles are perhaps best embodied by Murad’s father, who openly refers to himself and his children as “servants”, and who performs his job —driving for a wealthy family—without question. His mindset likely reflects the remnants of India’s 3,000 year old caste system, which traditionally divided people into categories at birth. Though caste-based discrimination has been outlawed by the Indian government since 1950, it left behind a deeply entrenched notion of class that persists in many parts of India—particularly in poor, under-educated communities. A glaring parallel of this situation should be obvious: despite the passage of the Civil Rights Act in 1964, racial discrimination continues to plague the black community in America decades later. When mapped onto each other, the problems of one country are not so different from another’s. Interestingly, Murad and his family are Muslims, whereas the caste system is rooted in ancient Hindu scripture. Murad’s family could therefore reflect the millions of Muslim converts existing in India today, who sought to escape oppression by caste. One should note, however, that Hindu scripture did not at its roots promote an immutable social hierarchy that would become the basis of centuries of discrimination. But the exploitation of religion for oppressive purposes is yet another common theme in the history. “Dreams? Who do you think you are?” rebukes Murad’s father. “You must match your dreams to your reality.” His words reflect the bitterness of a man who felt he had no choice but to accept his role in society. We observe him not as a one-note antagonist, but a victim of the cycle of abuse: his angry disposition is not a choice, but the only way to cope in the confines of his reality. Such is the nuance of the film—no character is a trope or a cheap dramatic tool. Their plights are real, and reflect the problems in society around them. Not all rap lyrics constitute poetry, but this film succeeds in blending the two: every line that Murad pens is an emotional plea for change as he begins to discover his own voice through music. This major plot point is also the most appealing part of the film — it explores class struggles in India through the lens of a young man’s singular obsession with rap, a form of music that spans continents. By rooting the story in such a way, the filmmakers not only create a modern picture of how an ancient and controversial class system affect people of today, but they also create room for audiences of all backgrounds to relate. Class struggles are after all, universal, no matter how much western civilizations pride themselves on their progressiveness. In some ways, that the Indian caste system is so black-and-white makes it easier to talk about. Issues cannot be simply hidden or assuaged by PC language, casting choices, or dubious capitalist arguments. In Gully Boy, we witness the damaging effects of class-based discrimination in its rawest form. Class issues aside, the film also explores gender inequality with similar ambition. The silent suffering that Murad’s mother endures depicts the struggles of a dutiful wife in a patriarchal society. The tension between her and her mother-in-law (a trope in many cultures) deftly reveals the double-edged sword of gender inequality — the extent to which women adopt and promote the patriarchal narrative that they are victims of. Murad’s girlfriend, Safeena, could easily outcompete many of Hollywood’s attempts at a strong female lead—she isn’t just cheerleading his musical talent from the side: she spends most of her time studying to become a surgeon, dreaming of one day owning her own medical practice despite her mother’s desire to have her become a housewife. And if she catches another girl eyeing Murad, she’ll literally take a wine bottle and smash it over her head. “Swear on me you won’t get violent again,” Murad begs. “Then you’ll die,” Safeena quips, smiling. Why is she so set on him? “You let me be me,” she tells Murad. In a great departure from the woman-as-sidekick, woman-in-distress, and woman-as-prize roles (i.e. in Iron Man, Skyfall, Wolf of Wall Street, just to name a few), Safeena loves that Murad makes her feel confident as a strong, ambitious woman. A moment like this can’t help but stand out in an era of entertainment that still fails to capture proper boyfriend material. As Murad continues to befriend new people within Mumbai’s small rap community, we observe glimpses of a world where class lines don’t exist. He meets MC Sher, an aspiring local rapper dating an English girl, and Sky, a wealthy young woman who studies abroad at the Berklee College of Music (“They have entire schools dedicated to music?” Murad asks incredulously). The three meet as equals: artists whose love of music transcends caste and creed. Murad’s question applies not only himself, but to all people who desire a sense of fulfillment, and who carry dreams larger than the shoes they currently fill. Such is the power of Gully Boy, which seamlessly blends cultural specifics into a universal story about class struggle. The film’s thematic elements are deftly interwoven into the characters and their interactions, “showing” rather than “telling” us how socio-economic disparities impact their natural, every day lives. The final effect is a story that should resonate with audiences all over the world. In Slumdog Millionaire, we observe a young orphaned boy running from the cruel manifestations of poverty around him, trying to survive. In Gully Boy, we watch an adolescent man living his life, seeking refuge in the most unlikely art: rap music. 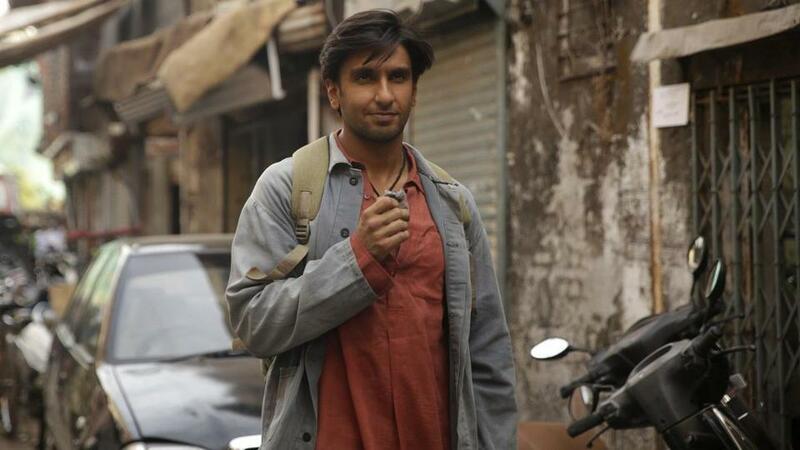 Where Slumdog succeeds in depicting how ruthless poverty can be on a child, Gully Boy succeeds in showing how diligence and passion can open doors, despite a class system that seems to seal them shut. Where Slumdog succeeds in showing how poverty can divide a race of people, causing them to fight amongst each other for scraps, Gully Boy succeeds in showing how music unites us all, in spite of race, gender, and class. Where Slumdog is a foreigner’s take on the curious reality of what life looks like for the lowest members of Indian society, Gully Boy is an insider’s hope for what their life can one day become. What makes Gully Boy an exceptional story is that it transcends the very thing it is trying to depict. Yes, it shows us the harsh realities of slum life; yes, it boldly depicts the seemingly insurmountable wall of class lines. However, at the heart of the movie is a universal story about class struggles, carried with both levity and gravitas by a young man who chooses to chase his dream in spite of all odds. I came into the theater prepared to witness a cultural perspective different from my own, yet I emerged from the dark thinking that we are all more similar than we think. If you don’t walk away feeling inspired, at the very least you will enjoy the Hindi rap music. Gully Boy—India. Dialog in Hindi. Directed by Zoya Akhtar. Running time 2 hours 33 minutes. First released February 14, 2019. Starring Ranveer Singh and Alia Bhatt. Xingting Gong is a writer based in the San Francisco Bay Area.